Looking at Shakespeare: A Visual History of Twentieth-Century Performances. By Dennis Kennedy. Cambridge: Cambridge University Press, 1993; pp. 358. 150 illustrations, 21 color plates. $69.95 hardcover. 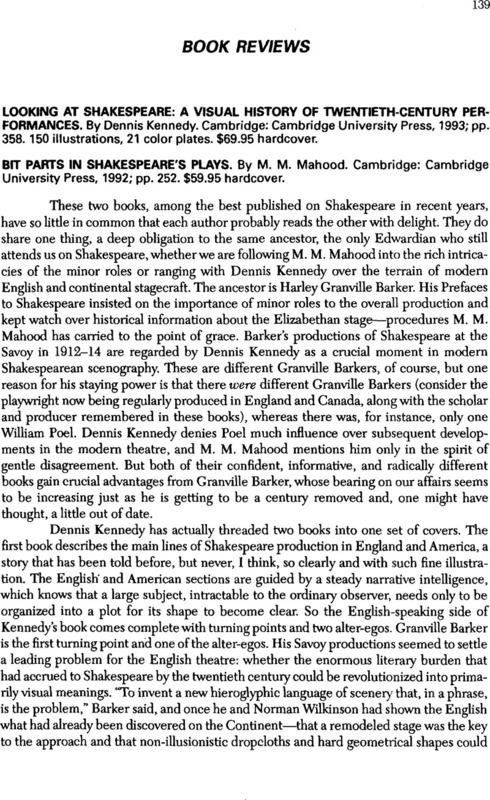 - Bit Parts in Shakespeare's Plays. By M. M. Mahood. Cambridge: Cambridge University Press, 1992; pp. 252. $59.95 hardcover.